Part of the Wiener Library’s Refugees Then and Now series, Anthony Grenville will present his forthcoming book, Encounters with Albion: Britain and the British in Texts by Jewish Refugees after 1933, to be published by Legenda in Oxford next year. The book sets out to analyse the image of British society as conveyed in over 50 texts by Jewish refugees from Nazism - novels, memoirs, autobiographies, diaries and collections of letters. The book’s opening chapters run parallel to the Wiener Library’s exhibition A Bitter Road and before the talk, visitors will have the opportunity to view the exhibition. 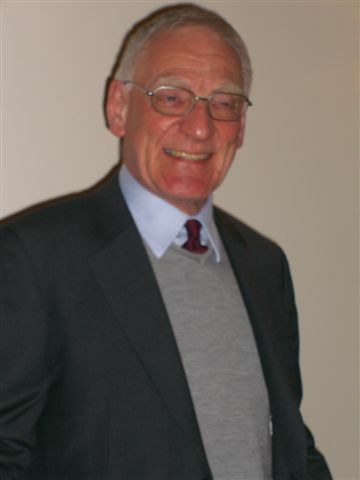 Dr Anthony Grenville, whose parents came to Britain from Vienna in 1938, lectured in German at the Universities of Reading, Bristol and Westminster from 1971 to 1996. He is Consultant Editor of the Association of Jewish Refugees Journal and Chair of the Research Centre for German and Austrian Exile Studies, University of London.